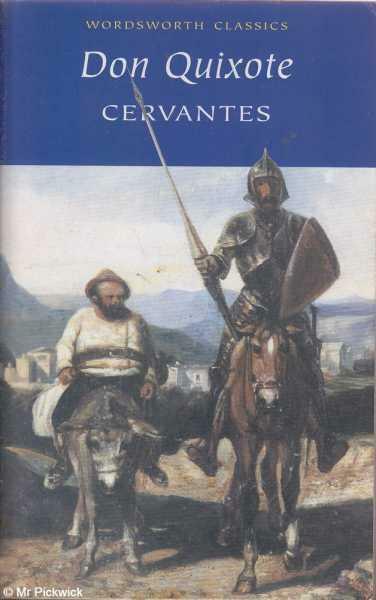 The first book sets the scene for the whole thing: Don Quixote goes insane from reading too many books about chivalric knights and decides to head out (along with his squire, Sancho Panza) believing that he is one too. It all starts out very silly really, with him doing things such as attacking windmills because he thinks they’re giants, but it is still entertaining nonetheless, I just feel that it could do with a touch more seriousness. The main problem with the first book, though, is the fact that there are several times when you’re taken away from the main narrative to hear about a story which is irrelevant to the main sequence of events. The worst case of these distractions is when a character stops to read a book, and the whole book is written out for you to read too… It was very off putting for me, not least of all because the book they read is very boring. On the whole, while the first part isn’t bad by any means, it’s not utterly amazing either, so I give it a 6/10.